Product information "Filigree Cube Table"
Striking Filigree Cube Table in a grey wash, the base is open for extra storage...great for magazines ! This beautiful and unusual side table is the perfect hight for a side or bedside table. So pretty with one of our grey lanterns or lamps placed on top. 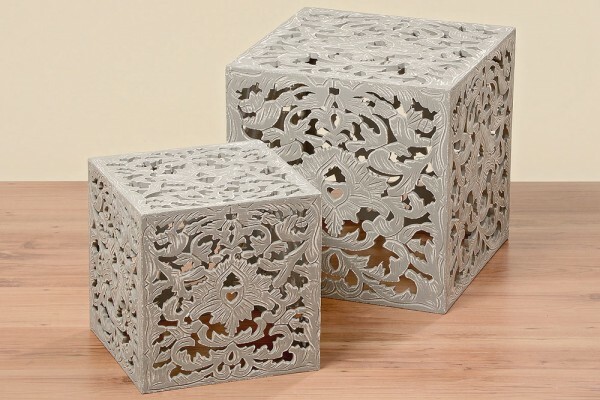 Related links to "Filigree Cube Table"
Customer feedback for "Filigree Cube Table"